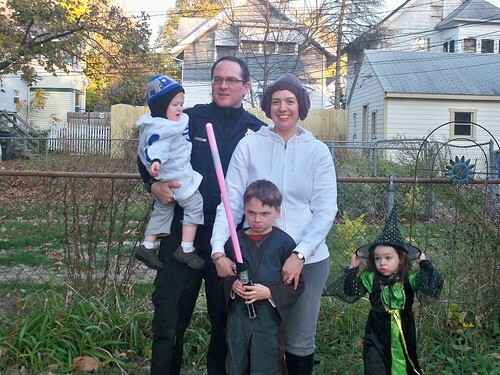 The Dieter Family: Happy Halloween! Family, a photo by shaunadieter on Flickr. This year we went Trick or Treating in Cedar Rapids with the cousins...great houses up in that area. Max was Anakin (jedi) and Riley was R2D2 and I was Leia. Jered went as a cop - pretty convincing. We had a great time.